Pompoms are fun to make, and children find them irresistible to touch. The easiest way to introduce these colorful balls of fluff into your craft-making repertoire is with a pompom maker. These simple devices, which come in many sizes, will help you and your children create delightful garlands for any occasion. 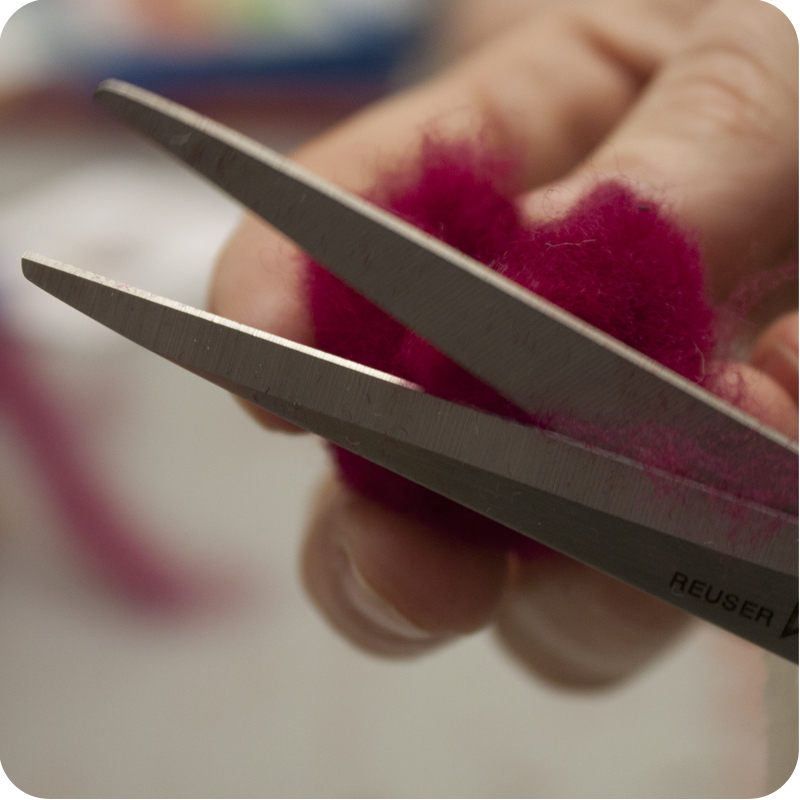 Here, we offer a new twist — making pompoms with wool roving instead of yarn, to give them an extra soft touch. 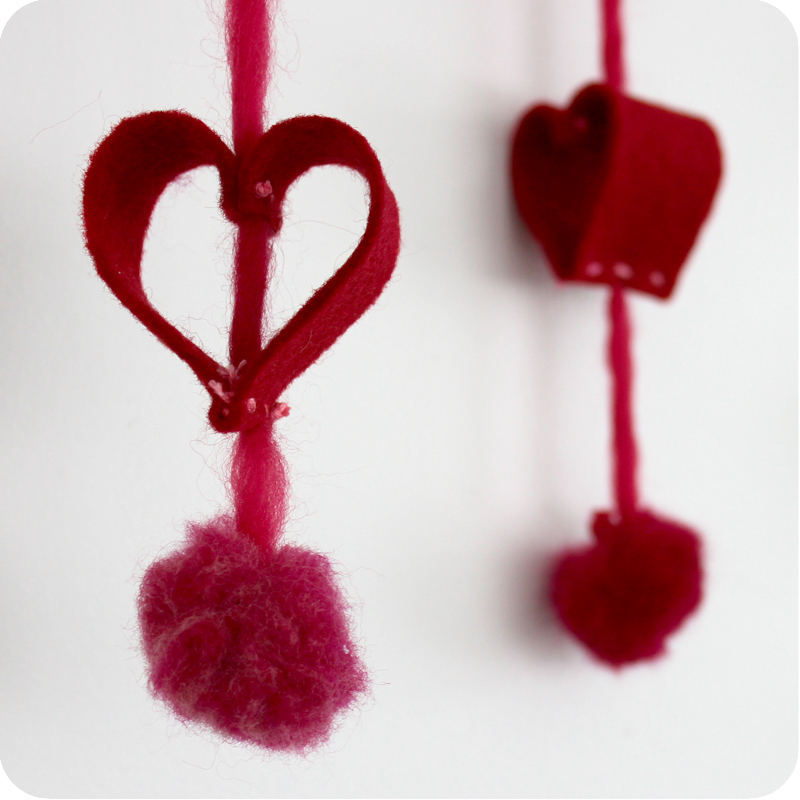 To create this sweet Valentine Wall Hanging, we used 100 percent wool felt (available by the half yard or in charm packs) and the 1 3/8″ pompom maker. Check out the step-by-step illustrated instructions in the full post to make your own. Pompoms can also be used to accent children’s clothing — just fasten to a zipper to pep up a child’s jacket. — and they make great soft ammunition for catapults! Step 1: Stretch the colorful wool roving into long strands to prepare for wrapping it on the pompom maker. Step 2: Divide strand halfway down the middle to ensure the correct thickness. 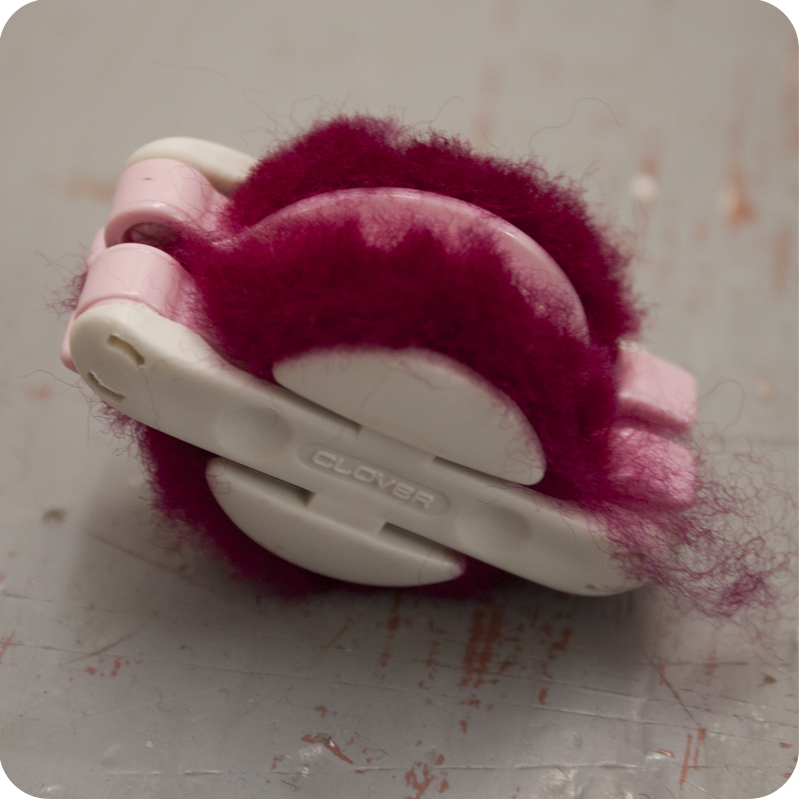 Step 3: Swing open the pink “legs” of the pompom maker, and wrap each one tightly with a strand of wool roving. Snap into place. This is how your project will look once you have wrapped both sides. Step 4: Use pointed scissors to cut through the roving. Be sure to cut all the way around; use the center guide to keep your scissors evenly in place. Your project will look like this after you have cut the roving down the center. Step 5: Knot a piece of yarn down the middle of the pompom maker as shown. Step 6: Unsnap the piece and snip the ends of the knotted yarn so that it no longer shows. Fluff out the cut edges of wool roving until they form a nice ball, trimming off any unshapely excess. Thread pompom through the center using a needle and yarn to attach to garlands, wall hangings, or children’s clothing. Children ages six and older really enjoy this simple craft. Have you made pompoms with your children? If so, please send us photos of your creations to share with our readers!